How did people of the medieval period explain physical phenomena, such as eclipses or the distribution of land and water on the globe? What creatures did they think they might encounter: angels, devils, witches, dogheaded people? This fascinating book explores the ways in which medieval people categorized the world, concentrating on the division between the natural and theHow did people of the medieval period explain physical phenomena, such as eclipses or the distribution of land and water on the globe? What creatures did they think they might encounter: angels, devils, witches, dogheaded people? This fascinating book explores the ways in which medieval people categorized the world, concentrating on the division between the natural and the supernatural and showing how the idea of the supernatural came to be invented in the Middle Ages. 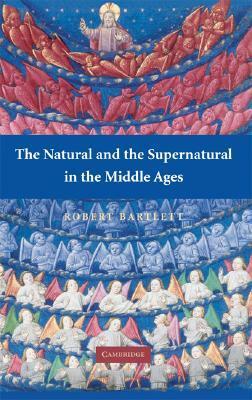 Robert Bartlett examines how theologians and others sought to draw lines between the natural, the miraculous, the marvelous and the monstrous, and the many conceptual problems they encountered as they did so. The final chapter explores the extraordinary thought-world of Roger Bacon as a case study exemplifying these issues. By recovering the mentalities of medieval writers and thinkers the book raises the critical question of how we deal with beliefs we no longer share. A group of lectures converted into a monograph. Bartlett's research is informative if a bit lacking anything new to add. Good work but definitely not as groundbreaking as the Making of Europe. Very interesting book, which addressed the natural and supernatural in the Medieval age (e.g. marvels, miracles, and magic), the geography and the inhabited world, the world as a machine, the moon and eclipses, and people with dog head, people with one foot, or people whose faces are in their chests, and so. I found the book interesting, as it showed how people viewed and interpreted things differently throughout history, which in turn affected their beliefs, conduct, and attitudes.